Once again, the Nazareth Trust’s 2018 Week of Health and Healing had a positive impact on those who participated and those who received prayer, pastoral care and teaching sessions. Sessions were provided by the local and international ministry teams during. The theme of this week was healing, forgiveness and well-being and the purpose of the week was to promote healthy lifestyles among the wider Nazareth community, and spiritual and physical well-being of our staff and the patients they serve in the Nazareth Hospital. It was great to have a team of four experienced chaplains led by Suzanne Owen from the Crowhurst Christian Healing Centre (CCHC) in England with us again this year to offer prayer, counselling and pastoral care to our staff and patients in partnership with the local pastoral care team of the hospital. Providing ‘space for grace’ was a key component of the activities of the week which involved the team visiting different departments to meet with staff and provide time to reflect and pray for the needs of their department and community. 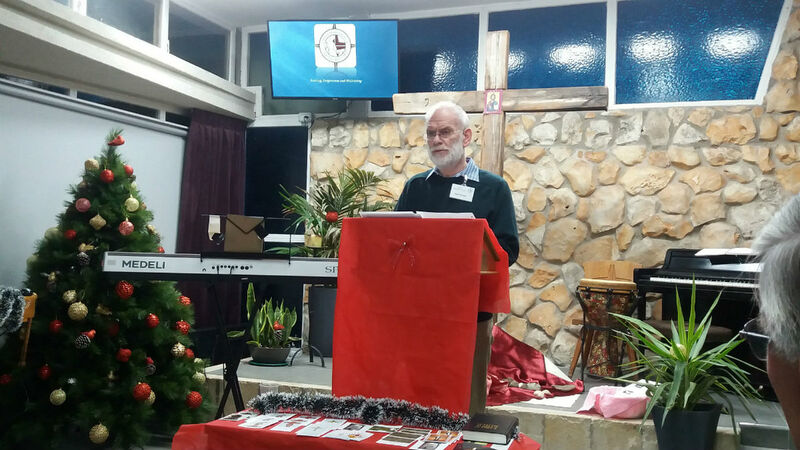 Many of the staff voiced concern about the increasing violence in the Arab communities in Nazareth and the surrounding areas and asked for special prayer for God’s peace, protection and well-being for their families and communities over the Christmas period and for the coming year. In addition, special drop-in times for individual staff members to receive personal prayer and pastoral support were provided in the chapel during the week which was greatly appreciated by members of staff who took advantage of this opportunity. It was a real blessing to be able to provide ‘space for God’s grace’ for staff in the midst of their busy work routines in the Nazareth Hospital, School of Nursing, the Village and with SERVE volunteers. This is a practice we want to build into the pastoral care program for 2019. Another component of this week was the promotion of healthy lifestyles at three of the Nazareth schools which provided very good interactions between the medical staff of the hospital and the staff and scholars at these schools. This took the form of lectures on healthy lifestyles, addressing the health risks of smoking, energy drinks high in caffeine content, and misuse of technology. There was also a health day and bazaar at the Beir el Amir School where doctors and nurses gave talks on healthy lifestyles for young people including nutrition and the ladies who volunteer in the hospital shop provided a healthy food bazaar for school children. The healthy food bazaar raised a total of NIS 15,000 for the Nazareth Hospital which is very generous given the challenging socio-economic status of this community (who also donated very generously to the Hospital appeal for the new Catheterisation Unit of the hospital). 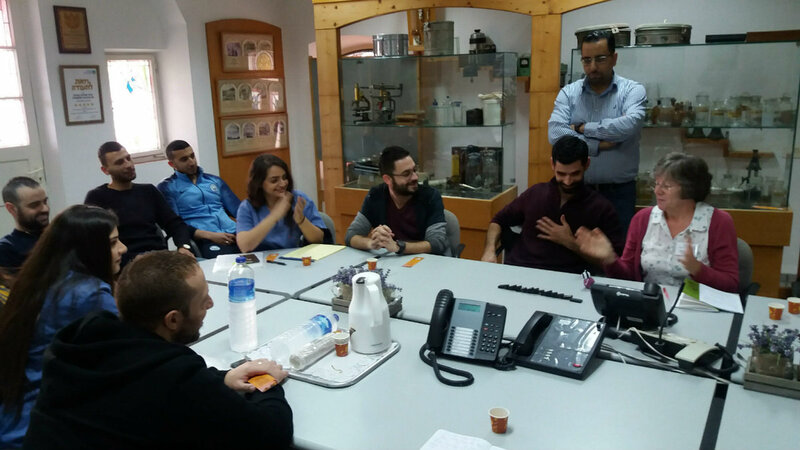 Another school visited the Nazareth Hospital for a tour and a lecture on healthy lifestyles which also generated a lot of interest and positive engagement between the parties. Another important component of this week was to provide spiritual and emotional support for nursing staff in our emergency and acute care departments. 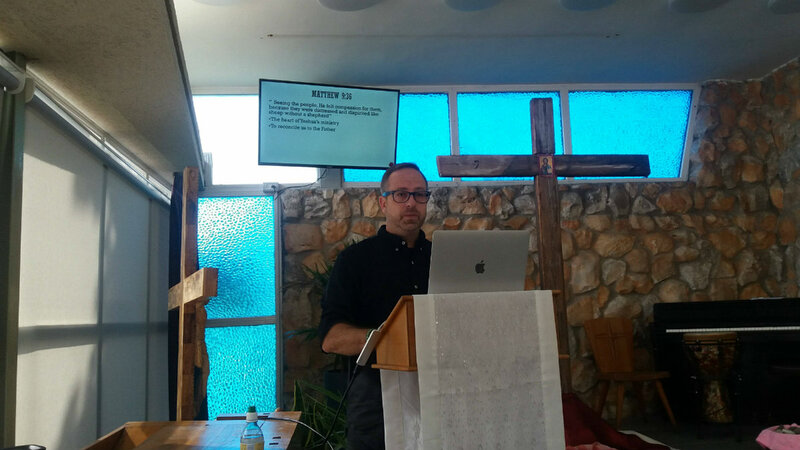 In light of the increase in verbal and physical abuse that nursing and ER (Emergency Room) staff have been experiencing in Israel, a seminar on resilience was held with the ER nursing staff. This session was led by Dr Kamal Farhat who provided a very good overview of the resiliency characteristics for staff from a psychological perspective and the need for the spiritual care and nurture of these staff members highlighted as a key part of building their resilience capacity. Dr Bernath placed his arms around the man and embraced him. Within the hospital, there is a well-known story of the compassion shown by Dr Hans Bernath, a previous Medical Director of the hospital. One day, the ER received a patient who had been shot and was accompanied by his brother who was highly agitated and distressed. Dr Bernath was physical assaulted by the brother, however rather than responding with violence, Dr Bernath placed his arms around the man and embraced him. This defused the situation, allowing staff to calm and support the family member. This story was told to emphasise the importance of developing a forgiving and reflective lifestyle in responding to emotional outbursts in the provision of medical treatment in acute care situations. This highlights the importance of providing spiritual care for our nursing staff who are at the frontline of healthcare delivery and we hope to be able to strengthen this component of our pastoral care in the coming year! 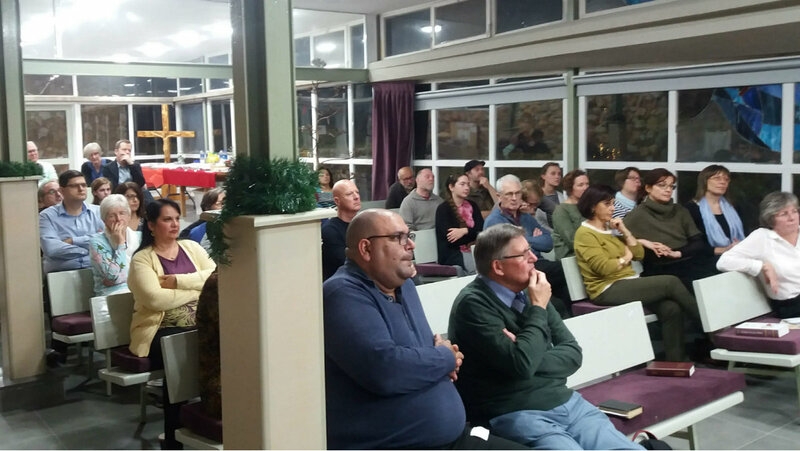 Finally, two evening services and a study day on the theme of healing and forgiveness were well attended and provided a challenging and practical way of engaging with healing and forgiveness in both our individual and corporate lives. 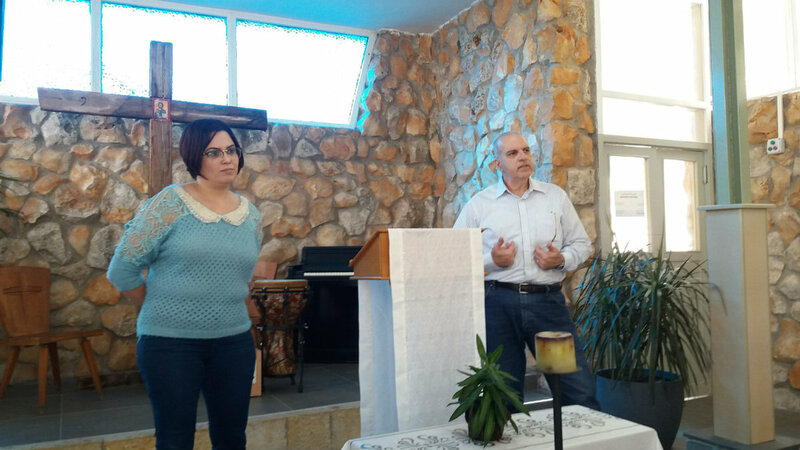 A strong biblical foundation for the week was laid by Pastor Nizar Touma of the Nazarene Church in Nazareth at the opening service, and Dr Liron Shany, a registered psychiatrist and co-leader of a Messianic congregation in Carmiel, provided an excellent medical and theological framework for healing and forgiveness at the study day on the week’s topic. The testimonies of forgiveness from people who had either experienced personal trauma from physical attacks, or who were personally or professionally related to victims of violence and abuse were very powerful and challenging. Nigel Thonger, the chair of the board of trustees of the CCHC (Crowhurst Christian Healing Centre), also provided a very compelling and personal account of the need for forgiveness to be offered and received by the leaders of organisations in order to move forward into God’s future for these entities. The creative responses provided by the CCHC ministry team to both offer and receive forgiveness from God and others in addition to the personal prayer offered to participants at these events, was sensitively and professionally handled. Those who made use of these opportunities expressed their profound gratitude for these services. 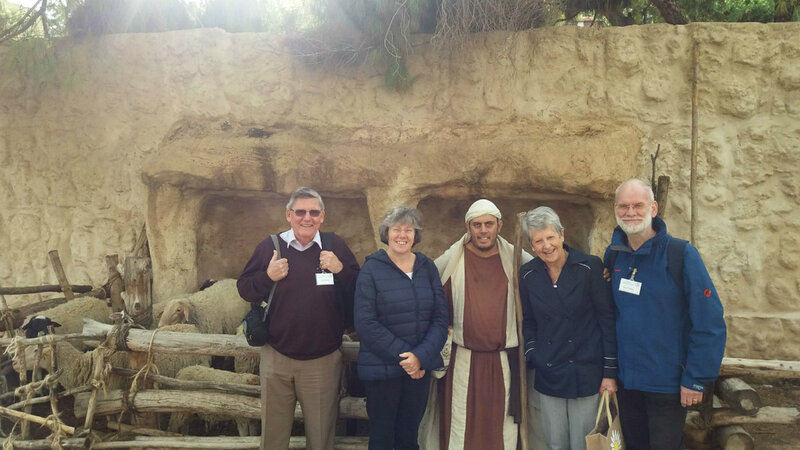 Overall, the second Week of Health and Healing hosted by the Nazareth Trust was a great success despite some additional organisational challenges. We hope to be able to include this in the calendar of events for 2019! Perhaps the key learning from this week is that forgiveness is a choice and that we need to gain both a biblical and medical perspective on the importance of forgiveness for both our physical and spiritual well-being as we learn to ‘be kind and compassionate to one another, forgiving each other, just as in Christ God has forgiven us’ (paraphrase of Ephesians 4:32).